My Dad’s birthday is tomorrow. I find making cards for him quite daunting. For a start he’s a male… and like a lot of us out there, male cards seem to take that little bit of extra thought. To add to that wee challenge, Dad has been quietly encouraging of my Stampin’ Up! endeavours. Perhaps because he has been involved in a few small business activities over his lifetime. He knows the challenges of carving out a sustainable small business. I always like my cards for him to contain some special touches – but still keep it simple. He’s one of the older, more silent type of men after all! I was thrilled back in September to see Autumn Days make it into the new IBC. Something about it said more than just “thanksgiving” or “autumn” to me…. definitely one that I saw leaning towards the male camp. Had to have it then!! Those of you with eagle eyes might pick up on the fact I’ve attempted brayering again. At first I was a bit bummed with those lines that seemed to appear but instead of tossing the card as ruined at that first step, I kept going. By the end, I was thrilled with the result… I think it gives the impression of a misty hill – what do you think? 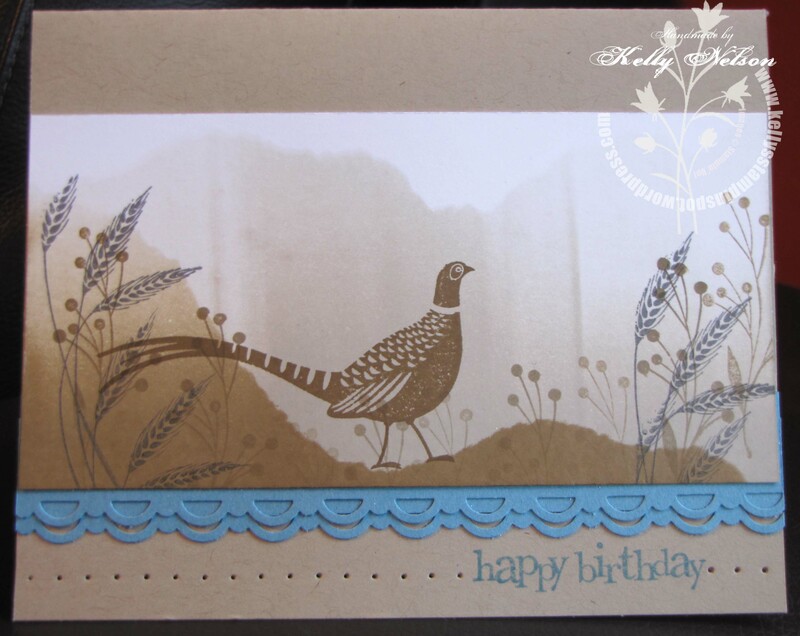 I also loved how a little bit of Marina Mist with the muted colours gives the overall card some zing.